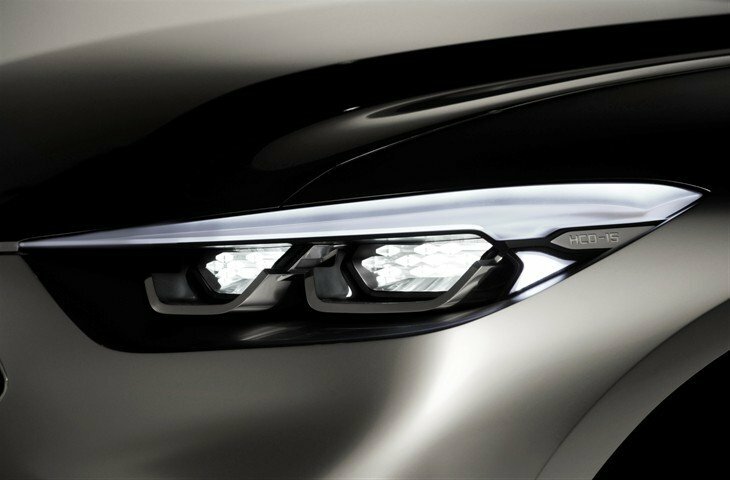 It’s only a twinkle in the eyes of designers and engineers at this point, but that is where everything starts. This year’s truck twinkle is the Hyundai Santa Cruz — a vehicle with a split personality. Described as a crossover truck concept, the Santa Cruz is sporty with a two-row cab and a small truck box. It was interesting enough to capture a lot of media attention at the Show so I wanted to share it. This is not a replacement for your full-size or even your mid-size truck. Instead, it recalls vehicles like the El Camino — a small city truck for just doing stuff. 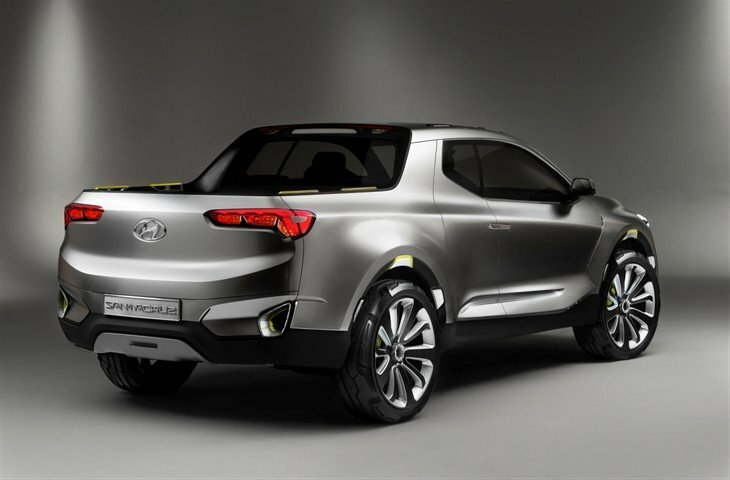 Hyundai says it is for the urban adventurer, and that is probably a realistic view. 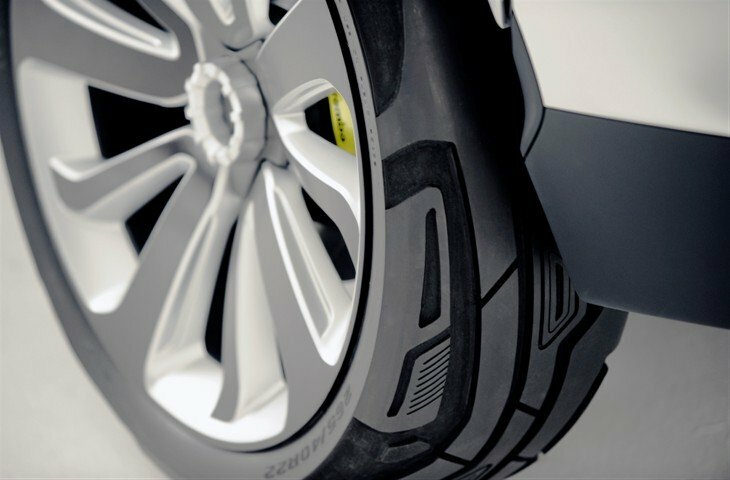 Highlighted from the side view, the Santa Cruz has oversized wheels, Micheline tires with a special tread design, center-locking hubs and yellow Brembo brake calipers. 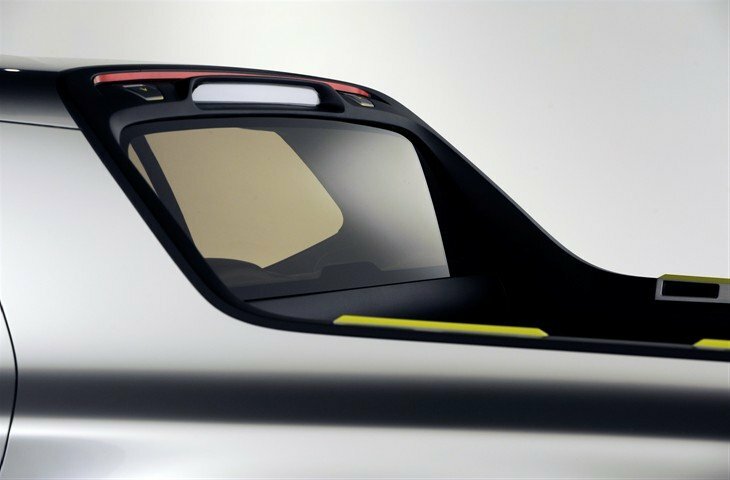 Rear-hinged doors allow access to the rear seats and are seamlessly integrated. There are numerous tie-down cleats at wheel arches, roof and bed rails for securing a variety of cargo. A contoured bed is well integrated and expandable for easy reconfiguration of longer cargo using a self-storing extender. The tailgate extension is designed to provide mid-size truck bed capacity (in the length), but it isn’t about payload or ground clearance. More about convenience. For power, the concept uses a 2.0L turbo diesel powertrain (190hp and 300 lb.-ft. of torque) for achieving an environmentally-sound 30mpg range. Santa Cruz was also equipped with Hyundai’s HTRAC all-wheel drive system, a great feature for both inclement weather and getting to sporting destinations. The footprint is similar to that of a small crossover vehicle and is designed to seat five. 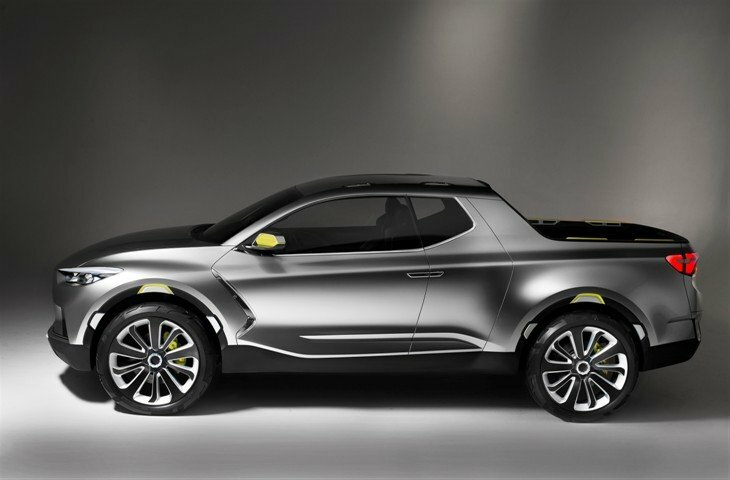 More important than whether we will see the Hyundai Santa Cruz come to fruition is the fact that — when given the opportunity to create a concept — the brains at the company decided to make it sort of a truck. That’s what I intend to watch in the future.